That BBC article – The demise of Second Life? A few days ago this BBC article lit up on and bounced around the network, and because it said “What happened to Second Life?” and then went on to try and explain the current status of the virtual world industry I got sent the link a few times and asked what I thought. I had commented on the piece on the site, but I guess they got a too many comments as there are only a few on there. The Linden Lab response was blogged here. That was the line that opened the piece which sort of set the tone. Clearly we had a lot of media hype, we also had a lot of us form corporate space sharing our journey and finding new uses for virtual worlds. The media hype happened because it was a vibrant and interesting time with lots of angles and ways to explore this way of humans interacting online. It also offered a leap from the label of Web2.0, and gave more fuel for ideas and stories. In addition, being visual, it provided/provides much better additional content than a simple picture of Facebook. I am quite happy that we had this massive interest in Second Life and virtual worlds in general. I am also now quite happy that we can just get on with pushing things forward and building industries and movements on the top of all the platforms. It is not all Second Life, that is the part that may have confused the article. Not everyone, and every interaction online happens in Second Life. In fact there have been some moves lately that have started to push some people away from the platform, though this is really aimed at making it more mainstream and controlled. I think part of the problem for people is the frame of reference that they need to impose on any new interaction online. 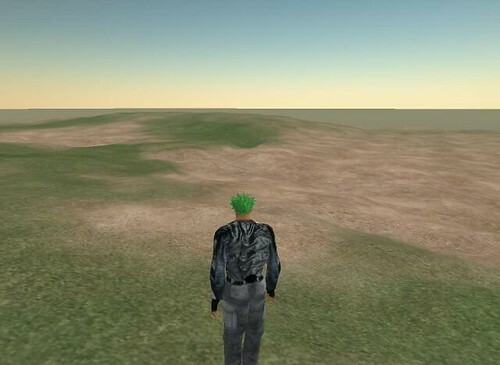 Dynamically created places like Second Life are a way of getting to interact, but obviously if you are with the wrong people in the wrong place you will have the wrong experience. Not all pages on wikipedia will meet the needs of every user. Not every tv programme meets every taste and mood. Not every person, place, event in Second Life will meet everyones requirements. Not every virtual world will meet every requirement of business, social, entertainment and education need. So, yes, some user interfaces needs a bit of learning, some creative platforms need you to put some degree of effort in to build things, some groups of people need you to interact with them in order to become part of that group. Will Second Life solve this for you? Will Opensim? Will IRC chat? Will a community news letter? Will a blog/twitter/facebook/myspace/linkedin profile? No of course not. We are also at a point where 3d content and immersion is still on the rise. We see lots about Augmented Reality, which again will be hyped with interesting marketing schemes. It is all part of the same evolution. Content, Immersion and People all connected online. I view the future as bright, I also know that some will want to wait and let us all sort out all the answers before coming on board. Its part of the cycle of all change adoption. Again I do not mind this, as I am here, as I say , to take a bite out of technology so you don’t have to. If you are too wary, or too risk averse to engage, bemused, curious or scared then let us evangelists dotted around all over the place help you. You know how to find me!